In February, 2014 a trade finance cooperation agreement was executed by the European Bank for Reconstruction and Development and Bai-Tushum Bank. Such agreement encompasses the issue by the European Bank for Reconstruction and Development of guarantee to the Bank for funding foreign trade transactions and the provision of technical assistance for trade finance fundamentals training to be delivered for Bank’s employees. 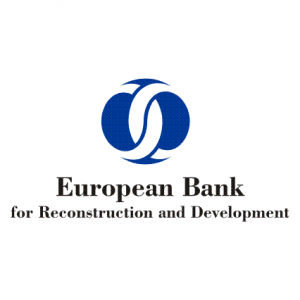 The EBRD Trade Facilitation Programme provided technical assistance, as well as consultancy services of Sergei Kostogriz (July 2013 to November 2014) under the EBRD consultancy project that was funded by the Early Transition Country Fund. The success of joint efforts resulted in the establishment of a regulatory database on trade operations, delivery of trainings for Bank’s employees for the purposes of enhancing qualification and sharing of experience. In addition, open days were held to introduce Bank’s new documentary operation products to clients, which activity contributed to the enhancement of financial literacy among the clients, engaged in entrepreneurship and the growth of foreign trade transactions. For the purposes of supporting medium and small entrepreneurship and in order to achieve the goal of expanding access to finance for its target segment, Bai-Tushum Bank actively promotes the use of trade finance tools and offers such products as guarantees and letters of credit.